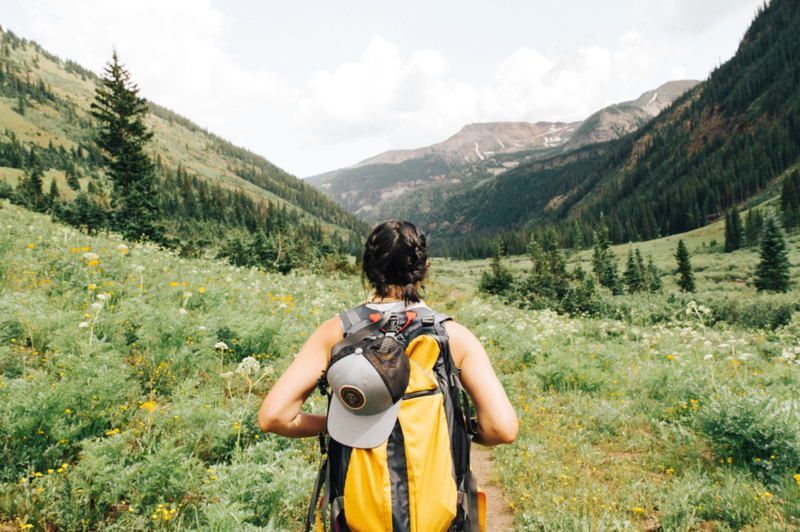 We’ve compiled some hiking tips and trick for beginners along with the best free apps. Spring is here! The sun is shining, the birds are singing, the flowers are blooming and you’re probably dying to go out there and get some color on those cheeks of yours. And what better way to do it than going out into nature for a nice hike to enjoying the sights? But, if you’re not much of a hiker, don’t worry because we’ve got you covered. We’ve put together a short list of the hiking tips that every beginner should know along with a list of the best free apps that’ll make your experience easier and that much more enjoyable. This is especially true for any exercise activity. If you’re not used to walking long distances or you’re just not used to walking at all, then starting your hiking adventure with a 5-hour trail might be a tad ambitious. Experts advise that instead, you start out by practicing at your local park or gym and go up from there. If this sounds like a plan to you, then MapMyHike is a great training companion. This app records your hiking or walking routes so you can watch yourself improve over time until you reach your desired goal. The app also provides you with information such as the distance you’ve walked, average time, the number of calories you’ve burned, etc. 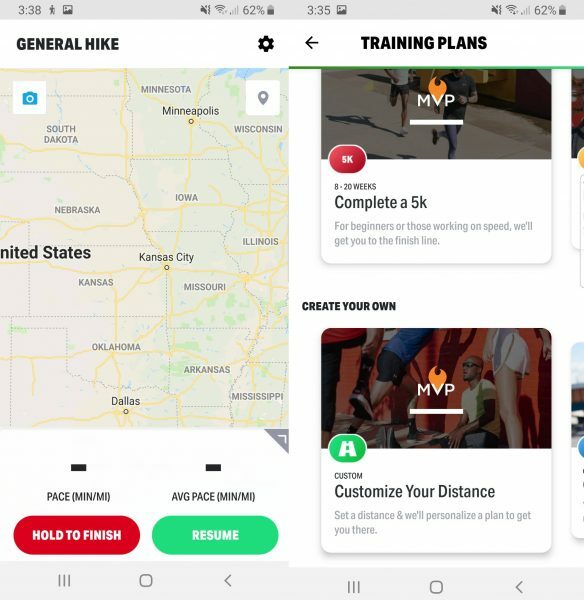 In addition, MapMyHike offers training exercises for beginners along with some other incredibly useful features. MapMyHike helps you train to you reach your hiking goal. It’s also important to plan ahead. To do so, we recommend that you stick to the trails that are apt for your hiking experience. Whether you’re hiking close to home or in another part country, the key is to study the hiking trail and choose what feels right. This is where an app like Gaia GPS comes in really handy. 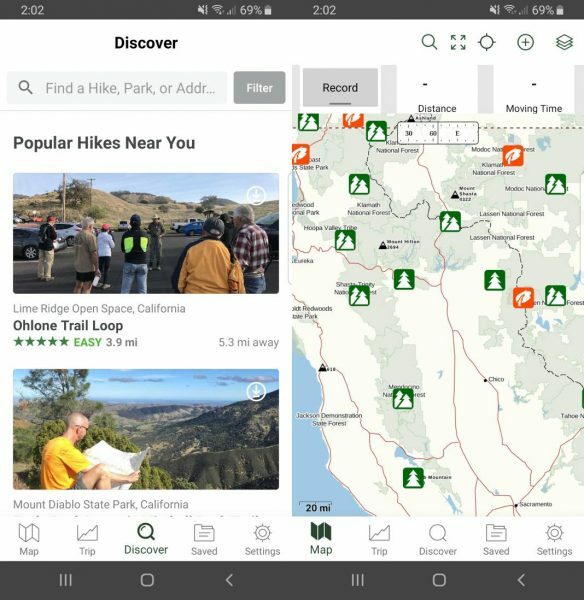 This app lists a bunch of hiking trails around the world and includes the difficulty level, the length, and a star-rating appointed by other hikers. Find the perfect hiking trails, anywhere in the world. You don’t have to do it alone. There are probably a bunch of different hiking groups in your community. Experts say that as a beginner, it’s a good idea to hike with more experienced hikers. 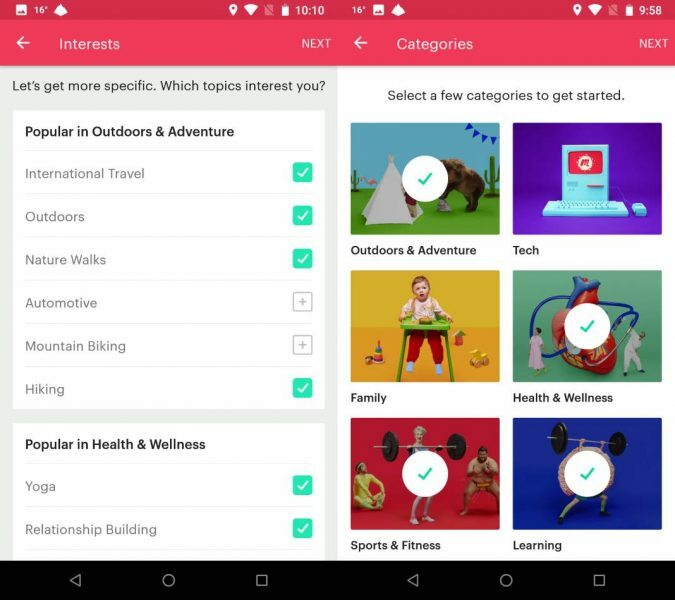 They not only share your interests but can also provide invaluable tips and tricks. If you don’t know where to find a hiking group near you, we recommend Meetup. This app specializes in helping people find and become part of different communities within their communities. All you have to do is register and select the categories that interest you, including hiking. Then, you’ll be matched with different groups close to home. Meet other hiking aficionados near you. This may seem totally obvious, but it’s easy to get wrapped up in the thrill of your trip and forget about the basics. Make sure you don’t skip this step because the rain or harsher weather conditions can easily ruin your hiking trip. A really great app to keep in your smartphone is AccuWeather. 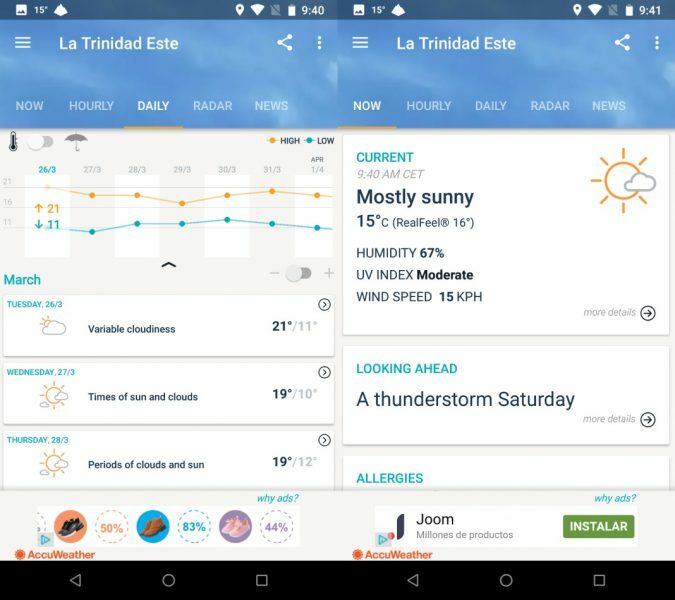 This complete app offers you a detailed weather forecast of your day and breaks it down by the hour. You can also check the weather forecast in different parts of the world, in case you’re planning to hike in another country. Don’t let the rain take you by surprise! Here’s another essential for any hiking trip: a compass. This simple and useful tool can help you make sure you stay on track. 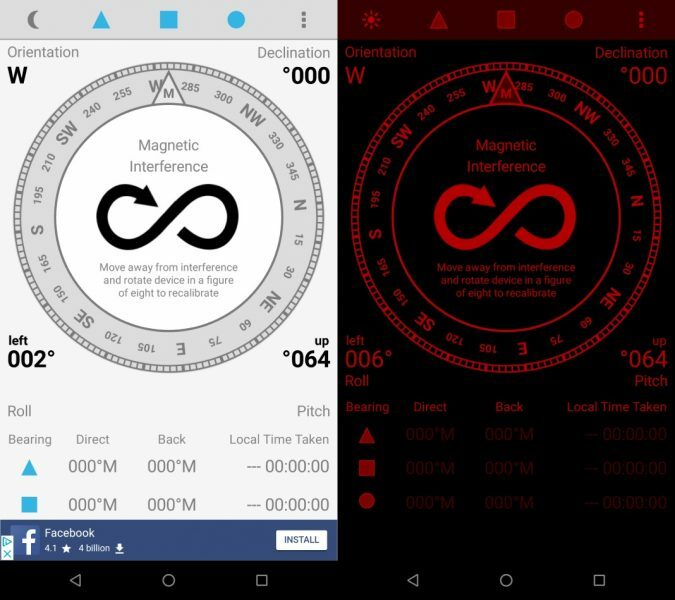 Although there are highly advanced compass apps that include all kinds of features, we recommend Field Compass if you’re a beginner. This simple and straight-forward app provides you with everything you need to find your way. Field Compass helps you find your way, every time. According to the experts, it’s easy to get dehydrated during a hiking trip. Dehydration could lead to some serious side effects, so make sure you drink plenty of water before and during your hiking trip. A really great way to avoid dehydration is to set reminders on your smartphone. Drink Water Reminder, just as its name suggests, reminds you every time you need to drink water to reach your ultimate hydration level of the day. The best part is that your water reminders are customized to you depending on your height, weight, and other personal information. 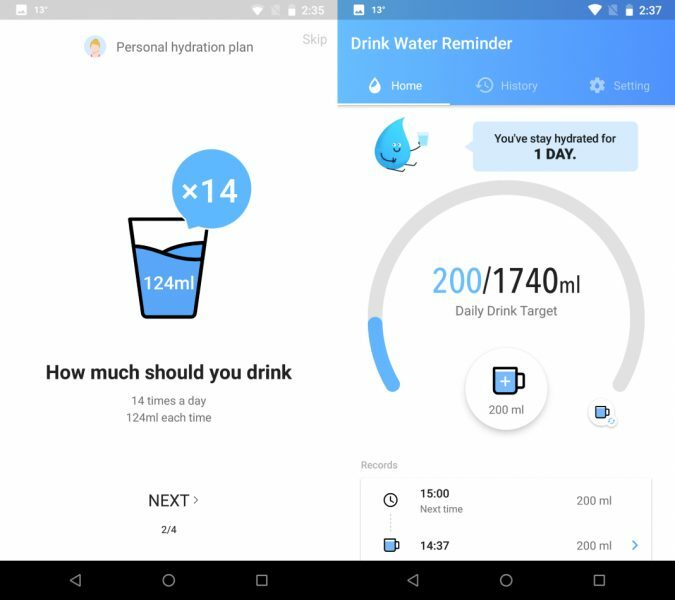 Stay hydrated with this app. You can never be too prepared. That’s why experts say it’s a good idea to learn First-Aid basics before your hiking trips. Luckily, there are apps such as First Aid and Offline Survival Manual that can help you with that. First Aid is a guide that includes an incredible amount of useful first aid related information. It’s divided into sections such as how to perform CPR to what to do if someone is drowning. Similarly, Offline Survival Manual is a super detailed survival guide. It includes information on what to do if you find yourself in the wilderness and need help. For example, how to build a shelter, start a fire, how to recognize poisonous plants, etc. 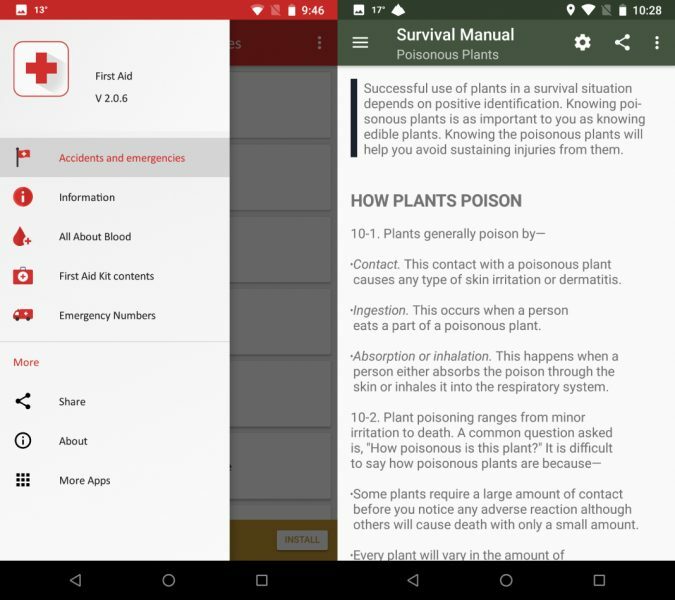 First Aid and Offline Survival Manual, respectively. Last but most definitely not least, go out there and enjoy the sights. Whether you like to stop and admire the flora or prefer the fauna, we’ve got you covered. If you’re more of a plantlife kind of person, then check out PlantSnap. 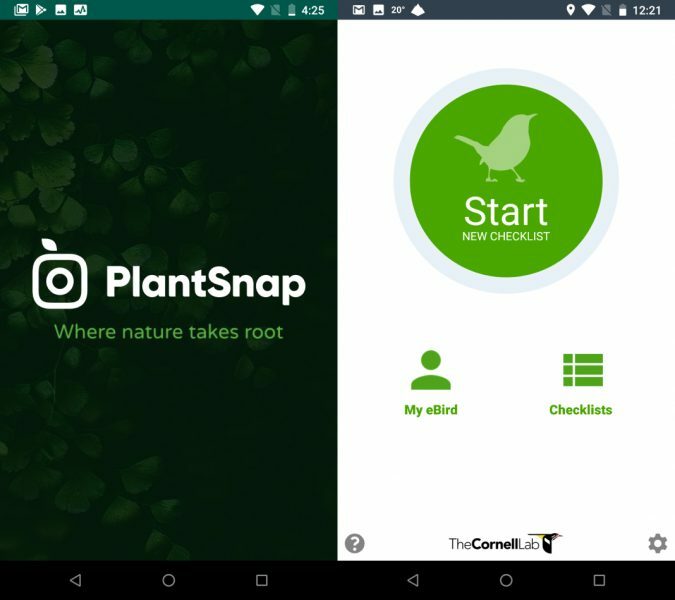 This app is an excellent companion for those who are curious about plants. All you have to do is take a picture of the plant, and PlantSnap will give you its name, and other characteristics. However, if you prefer bird watching then eBird by Cornell Lab is the app for you. Basically, anytime you spot a bird, anywhere in the world, you can make an entry in the app. Your entries will be organized by checklists which can help other bird watching fans and researchers figure out what birds are found in different locations around the world. Your checklists will also benefit you by reminding you of when, where and the types of birds you’ve spotted during your hiking trips. Plant Snap and eBird by Cornell Lab, respectively. Hiking is definitely one of the most rewarding outdoor activities. Not only does it help you relax and socialize with others, but it definitely counts as exercise. Take advantage of this beautiful time of the year and enjoy nature to the max!